Alto Pacific are Sunshine Coast based pool heating and filtration specialists. 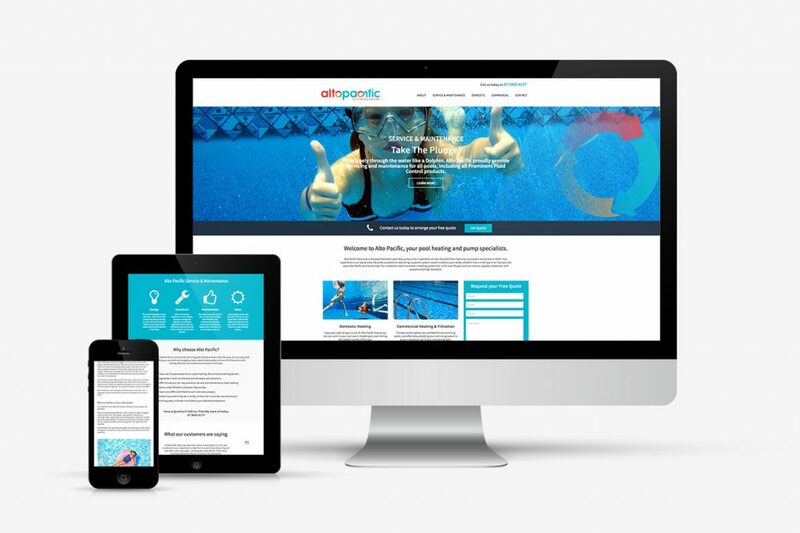 They strive to be at the forefront of progress within the pool heating industry and endeavour to deliver a level of professionalism and support, unmatched by their competitors. Alto Pacific pride themselves on delivering a superior system custom suited to their client’s needs, whether it be a small spa or an Olympic size pool. Chilli has worked closely with Alto Pacific to reimagine their commercial presence. This includes the creation of their new website and creative design of letterheads, car signage and product spec sheets. 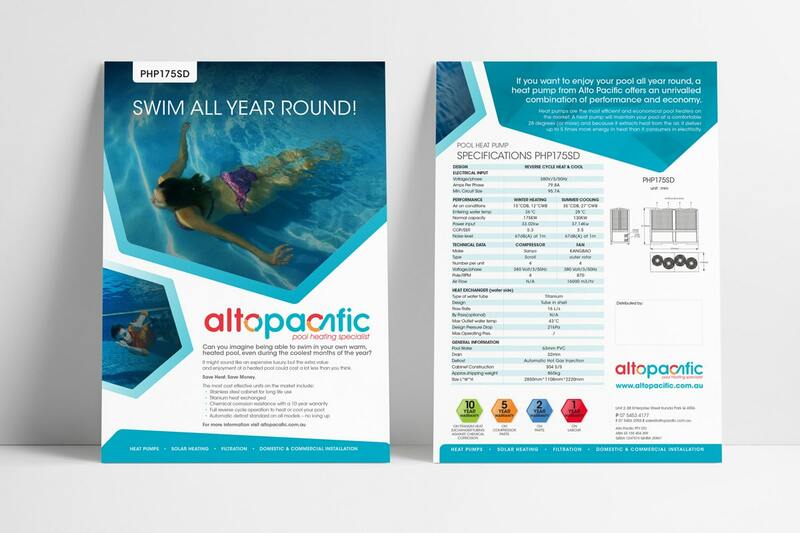 The product spec sheets for both their heat pumps and filtration systems were of particular importance to Alto Pacific. Communicating their product offering in an easy to digest manner allows for transparency and ease of communication with their clients and project contractors.